Let Others Know About Alamo Homes! Over The Years We’ve Accumulated A List Of The Most Frequently Asked Questions. 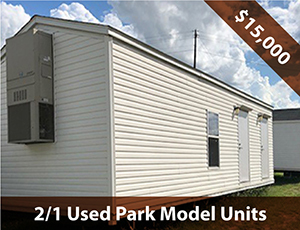 Let Us Help You Move Forward With Purchasing A New Manufactured, Mobile Or Modular Home! Do mobile homes lose their value? 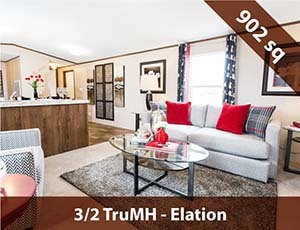 Generally, according to research by www.datacompusa.com, manufactured homes change in value at approximately the same rate as your neighborhood changes in value. 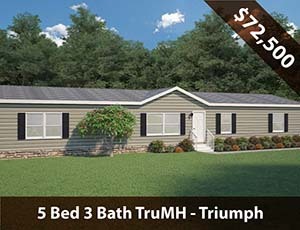 In other words, if property values go up in your neighborhood about 5%, in general your home will go up about 5% (This is from the Michigan www.datacompusa.com research that revealed the truth about manufactured homes growing in value. Please also note, we are speaking in general, we cannot make promises about the future value of your home). There are two exceptions to this rule of “matching the neighborhood,” both of which are within your control. First, if you over pay for a home from one of our competitors, your home will initially lose value. Second, just like any other home, if you do not take care of your home and property, the home will lose value. So, if you get a good deal from us, take excellent care of your home, and keep it in a safe neighborhood, you should be in good shape. Also, if you are not selling your home with the land, then all of the money spent to get the home to your property and set it up is a loss. 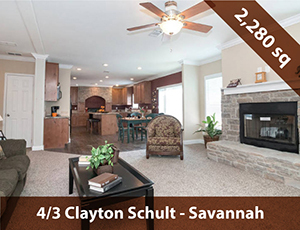 Whoever purchases your home will have pay to have it moved and set up again which is factored into what you can sell your home for. Are mobile homes cheaply made? 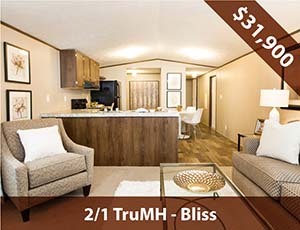 Like everything else, including choosing a manufactured home, you get what you pay for. All manufactured homes are built to the HUD code, whether it’s the cheapest house on the market or the most expensive. It all comes down to the options you choose for your home, which is something you have control over. Some homes on the market have very limited options available. Subsequently, those homes are also the most inexpensive because that’s the goal of the factory. 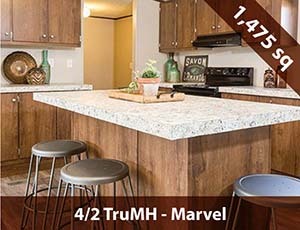 For example, TRU has a manufacturing goal of producing the lowest cost per square foot home they can because that is what some people need and want. 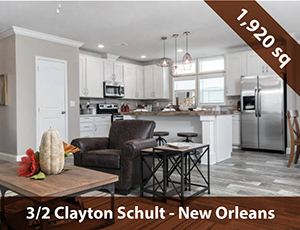 However, there are other factories like Clayton, Schult, and Skyline that have dozens of customizable options with features that rival some custom site built homes. Last but not least, some factories make homes that are somewhere in the middle of the road, like our Fleetwood and Clayton Sulphur Springs factories. Do you have to have good credit to purchase a mobile home? The good news is that there are banks that work with people who have less than perfect credit. As a general rule, the lower your credit score is, the higher your interest rate and down payment will be. If you don’t have a significant amount of cash to put down, some banks will let you use your owned free and clear land instead of a down payment. Obviously, the better your credit score is, the more options you will have, but there are several ways someone with challenged credit can still get into a home. We don’t own any land, but we have several resources that we can utilize to help our customers find land once approved for land/home financing. What is a land/home package? Simply put, a land/home package means the land, the home, and all of the improvements and utilities are combined into one loan. We have relationships with top lenders in the Manufactured Housing industry. We also have a simple application you can fill out and submit to any lender you choose. Are we allowed to use our own bank? You are welcome to use any bank you choose. The only requirement we have is that if you are doing a land/home package, your lender must offer a construction loan. Why don’t all of your homes have prices? To accurately quote a price, we need several pieces of information from a potential customer. Where is the home going? What options do you want in your home? Do you want us to install the A/C? Do you need something available on the lot or will we be custom ordering your home and delivering it from the factory to your land? There are other dealerships that choose to advertise prices that don’t include essential items such as delivery, set up, A/C, or other common options like a dishwasher or energy efficient windows. Although it seems better to have that low price up front, what we have found is that most of our customers are frustrated by that approach. So rather than advertising a low ball price that that doesn’t include all of the necessary costs you have to pay before you can live in the home (like delivery! ), we provide custom quotes based on your specific needs. 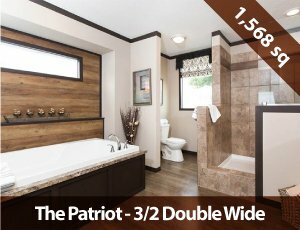 The next time you see that ad for a $19,900 single wide or a $36,900 double wide from one of our competitors, along with their “claims” to have upfront pricing, don’t be surprised to find out that the cost of the home is actually $10,000 to $15,000 more than that. At Alamo Homes, we don’t play those games. We’ll get you a custom quote on any home that includes everything you want and need. No surprises! Do you charge for site inspections? We NEVER charge for site inspections. Knowing where we are going and what to expect when we get there is crucial for proper delivery. This knowledge also gives us the opportunity to instruct you on what needs to be done to adequately prepare your site. We can also provide you with bids for any site work you would like us to take care of for you. Do you have to run my credit score before I can see your homes? No! A credit evaluation is a service we provide for those who ask, not a requirement to see our homes. 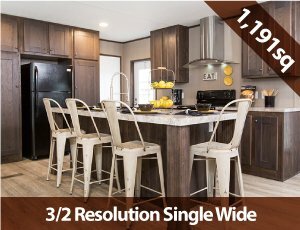 What makes Alamo Homes different? Great question! We put together a comparison infographic to help answer that. You can see pretty quickly what makes the “Alamo Homes Difference” around here!